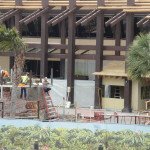 Though an official announcement has not yet been made, fans of Disney World’s Polynesian Village Resort are salivating at the prospects of the long-awaited Tiki bar Trader Sam’s Grog Grotto opening as early as the end of March. 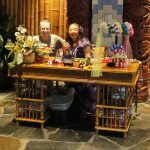 The leading non-Disney authority on the Polynesian, Steve “Tikiman” Seifert, is predicting an opening of the East Coast’s version of Disneyland’s popular Trader Sam’s Enchanted Tiki Bar as early as Thursday, March 26. This would coincide with the completion of much of the construction on the resort’s main pool, which has been undergoing a massive renovation since closing in July. 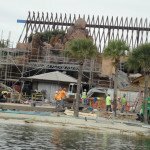 The reason for this rush to complete construction is the announced April 1 opening of the first phase of the resort’s Disney Vacation Club (DVC) timeshare units. 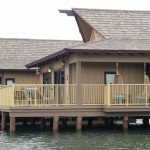 On that date, the Polynesian Village will welcome the first guests to its 20 high-profile Bora Bora Bungalows, which were built over the water on Seven Seas Lagoon, off the beach on the east side of the resort. 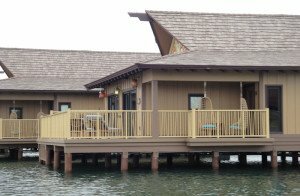 Also opening are some of the deluxe studio units in the Moorea and Pago Pago longhouses that have also been under renovation. These buildings were formerly known as Tahiti and Rapa Nui, but have now returned to their original names. 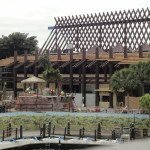 Construction work at the Polynesian, particularly around the pool and Trader Sam’s, seems to be moving at a rapid pace. Much of the work being done outdoors, though walled off, is in clear view of guests who have been sharing a steady stream of photos online. 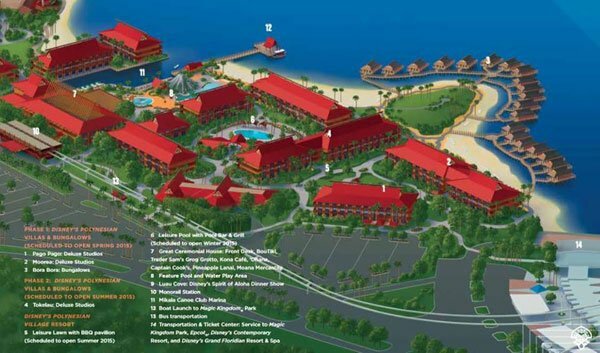 Seifert was there in late February, and he published a full report on his website with news on renovations and changes throughout the resort. 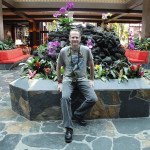 He’s also posting photos and reports sent to him by guests almost daily on his Polynesian Resort Facebook page. 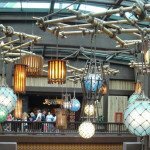 Seifert also shared some news and answered questions on last week’s Enchanted Tiki Talk podcast. [Click to listen]. 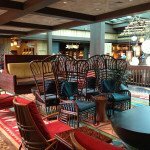 The Atomic Grog also visited the Polynesian in late February, and we got our first look at the reimagined lobby of the Great Ceremonial House, as well as the massive work in progress. 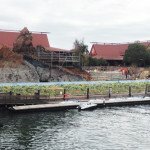 On the day we were there, there was a lot of activity around Trader Sam’s Grog Grotto and the outdoor patio that the bar/restaurant will share with the neighboring counter-service restaurant, Captain Cook’s. Unfortunately, nobody has been able to get a peek behind the doors to see what magic Disney’s Imagineers have cooked up for guests of the immersive Tiki bar. Scroll down to see photos from last week, plus our December visit. 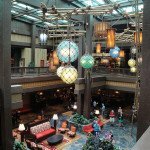 After returning from our respective trips, I spoke to Seifert to get a few more insights. “They’re trying to get everything done by April 1,” he confirmed. This includes a “whole new look” when you enter the resort. Though it’s not discussed as much as the other changes, Seifert is excited about two new water features that will greet guests as they approach the main entrance of the Great Ceremonial House. The left side is done, he said, but the right side still needs a lot of work. 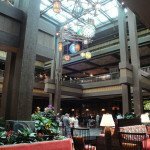 It may not be done by April 1, but he said it may eventually help pacify the fans who raised a ruckus when the giant water feature, which dominated the lobby since the resort’s 1971 opening, was removed late last year. 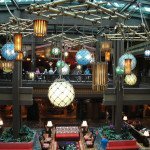 Without the massive waterfalls and plantscape in the center, the lobby is now much more open and includes a lot of impressive new South Seas-styled furniture. You can now stand in the center and see the Magic Kingdom’s Cinderella Castle in the distance. 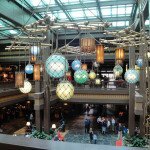 Even more impressive is the collection of giant float lamps hovering above the second floor, giving the entire lobby a real Polynesian supper club feel. 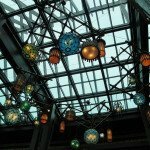 And, as expected, the new artwork around the lobby is more reminiscent of Disney’s fictional Adventureland than Hawaii. 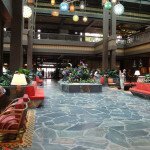 This is a return to the original theme of the Polynesian and will be continuing with future upgrades, Seifert said. Less impressive is the diminutive new rock work and fountains in the lobby’s center. 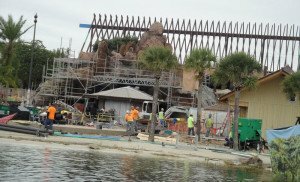 While a huge Tiki carving is still to be added before the April 1 opening, it pales in comparison to the previous display. Perhaps more of a happy medium could have been accomplished. 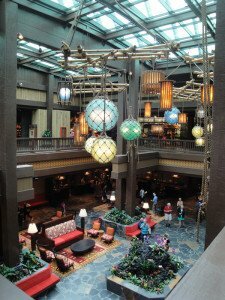 I agree with Seifert that the new lobby is much more comfy to hang out in, and it gives the resort a better central space for events and activities such as hula lessons and torch-lighting ceremony. 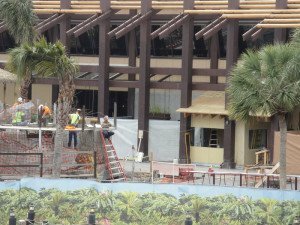 The Polynesian’s signature outdoor torches have been dark during much of the construction. We’re hoping they make a grand return on April 1 during the DVC opening ceremony. Seifert says the ceremony may be moved outside to the back of the resort. 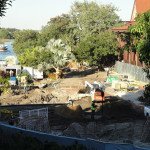 When completed, the patio and pool area behind the Great Ceremonial House, which offers great views of the lagoon and Magic Kingdom resort area, will also undergo a transformation. 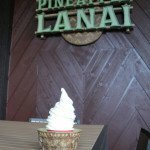 Since August, guests have been enjoying the new Pineapple Lanai, which serves Dole Whips and other treats. Seifert said the main pool (aka Nanea or Lava Pool), including a refurbished poolside Barefoot Bar, should be open by March 26. 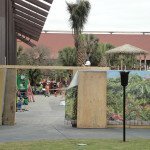 Disney hopes to complete the children’s pool area by April 1 or shortly after, he said. Like many of the other new and refurbished resorts at Disney World, the pool will be gated and available only to hotel guests. The pool will also be surrounded by a new lava rock wall, Seifert said. 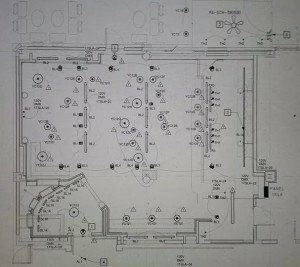 Trader Sam’s Grog Grotto blueprints. It appears that a lot of thought was given to crowd flow and bar/restaurant guests in the design. 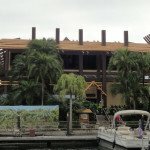 There will be access to the Barefoot bar both inside the gates and outside near the marina, which is also getting a new building. 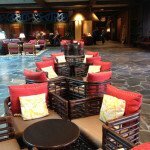 And Trader Sam’s will have an an additional service bar outside to help deal with the expected crowds. You can see the building under construction in some of the photos. 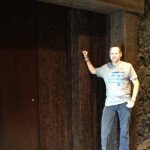 Trader Sam’s at the Polynesian will also have two exits and entrances (the Disneyland bar has just one). Seifert estimates that the Grog Grotto will seat around 50 people inside and around 75 outside. There will also be another 60 or more seats outside Captain Cook’s, but it’s expected that there will be a divider between the two restaurants where food and drinks from each can’t cross. 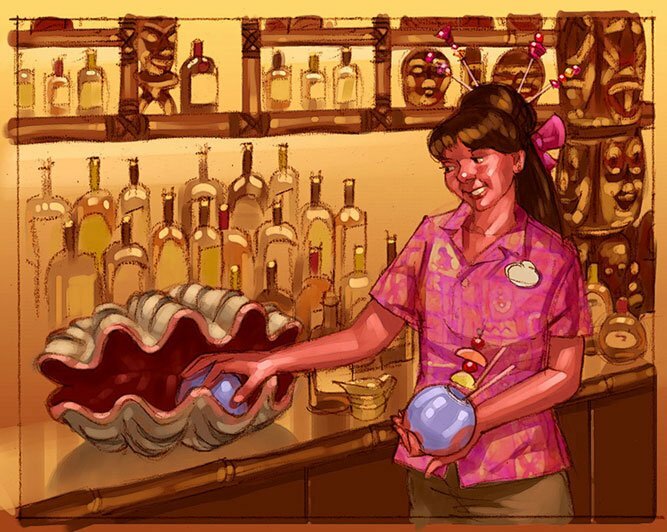 Also, Seifert said, it’s expected that the Grog Grotto will follow the same late-night rule as Trader Sam’s at the Disneyland Hotel, where guests under 21 aren’t allowed into the inside bar after 8 p.m. But the patio will be open to all ages. 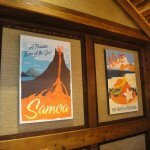 Check out the blueprints and floor plans, plus concept art and lots more info on Seifert’s Trader Sam’s Grog Grotto page on his website. 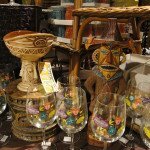 Tiki mug fans should start saving their bucks now, because there could be a wide assortment of unique glassware available when Trader Sam’s opens. 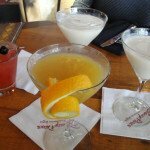 It was announced Feb. 3 on the Disney Parks Blog that at least three Trader Sam’s drinks will be making the trip from Disneyland. 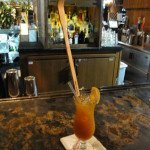 The Shrunken Zombie Head, Krakatoa Punch, and Uh-Oa! all have their own distinctive mugs. 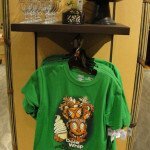 In addition, there will be new mugs available in the Polynesian gift shop, as announced in September at the Mahaloween Luau at Trader Sam’s in Disneyland. 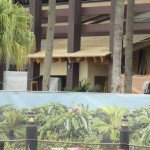 [See our full coverage and photos] Several new designs were shown that feature artwork from buildings around the resort. Also expected are new T-shirts. Many of the resort’s original South Seas carvings, signs and artwork were created by the influential Oceanic Arts in California. [See Tikiman’s tour of Oceanic Arts] This includes the old Polynesian Resort sign that stood at the entrance. 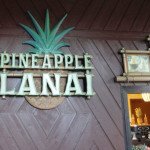 It was replaced in September when the name reverted back to the original Polynesian Village Resort. But Seifert says there may be plans to re-purpose the old sign elsewhere. 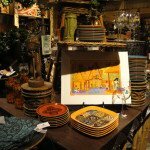 He also said that Oceanic Arts is among the artisans providing decor for Trader Sam’s Grog Grotto. 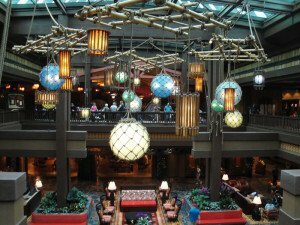 Seifert said bartenders are being trained to work at all four bars at the resort, though he expects that Trader Sam’s will end up with a regular crew who will be not only slinging cocktails but also interacting with guests and triggering special effects created by Imagineers to go off when signature drinks are ordered. 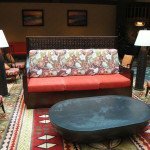 The Tambu Lounge, which also received a refurbishment of its seating area, will remain on the second floor of the Great Ceremonial House and will continue to service the table-service restaurants ‘Ohana and Kona Cafe. 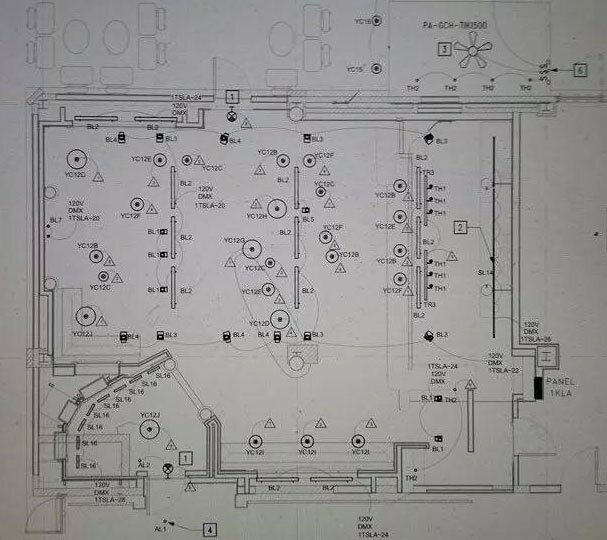 In addition to the Barefoot Pool Bar, a new bar will be built at the resort’s east pool (aka the quiet pool), which is scheduled to be the next phase of the massive refurbishment project (completion estimated for late 2015 or early 2016). Seifert’s site includes a complete chronology of the renovations and DVC expansion, plus ongoing updates on future plans. 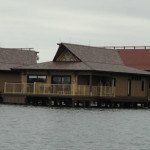 Also still to be completed on the east side of the resort are the villas in the Tokelau longhouse, the last phase of the current DVC expansion. While the lavish two-bedroom Bora Bora Bungalows may be prohibitively costly for many (nearly $3,000 a night during peak season), the villas contain “deluxe studios” that can be a nice alternative to a regular room. While still among the most expensive rooms on Disney World property, they’re also probably the largest, Seifert said. They sleep five and include two bathrooms and a kitchenette. The bungalows sleep eight and come with two full bathrooms, a kitchen, washer and dryer, and large dining and living room spaces. Private decks include a plunge pool and front-row seats for the nightly Electrical Water Pageant and Magic Kingdom fireworks. You can even hear the show’s soundtrack via an individual sound system. Check Seifert’s DVC page for complete info on all the units. 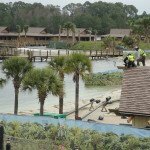 Seifert warns that other construction projects may pop up around the resort. 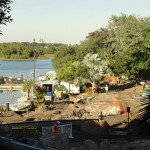 Many of the signature winding paths are being renovated, including the shortcut that links with the nearby Transportation and Ticket Center, where the monorail and boats connect to the Magic Kingdom and Epcot. The Polynesian’s own monorail stop on the second floor of the Great Ceremonial House was untouched, though Disney just announced another change in service hours. 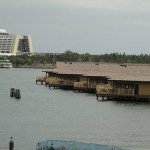 Also not affected is the long-running Spirit of Aloha dinner show and the longhouses on the quieter west side of the resort. 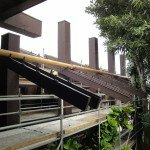 The old Tangaroa Terrace building, which is adjacent to the Great Ceremonial House and contains the renamed children’s activity center Lilo’s Playhouse, was also apparently untouched. The building was added in 1978, and includes dining facilities. 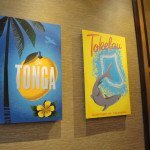 That’s reportedly where the resort’s famous Tonga Toast made its debut. All areas except for the kids club have been closed to the public since 1997 and used only as a conference and meeting facility. Its possible this could be the site of future renovations. Perhaps Disney is waiting to figure out its best use. But unlike Disney and Tangaroa Terrace, I think we’ve all figured out the best use of Trader Sam’s Grog Grotto. 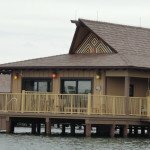 Scroll below this new Polynesian Village Resort map to see photos from our February and December visits. 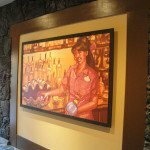 This entry was posted in Disney World, Events, History, Resorts and tagged Captain Cook's, Disney, Disney bars, Disney World, Disney's Polynesian Village Resort, Disneyland, Dole Whip, DVC, Polynesian Resort, Trader Sam's, Trader Sam's Grog Grotto, Walt Disney World. Bookmark the permalink.